Here are answers to some of your more frequently asked questions regarding Salinex® products and nasal hygiene. Salinex ProTect® is a gentle purified saline water, which does not cause dependence or addiction and has no effect on the nasal mucosa. It can be used for an extended period according to labeling instructions. How does Salinex earigate® clean the ear and remove earwax buildup? Salinex earigate® cleans and removes earwax buildup using a naturally-sourced solution. Salinex earigate® uses a reverse action spray nozzle that directs the back flow of the solution out of the ear canal, without applying pressure to the sensitive eardrums. How does Salinex® Throat spray work to soothe and relieve a sore throat? Sodium chloride known to provide antioxidants. Aloe vera known for its soothing properties. Chamomile known for its calming properties. How can I help prevent a sore throat? Will I suffer from rebound effects if I use Salinex® everyday? Salinex® Daily Care products are isotonic solutions, meaning they contain the same concentration of salt as the human body (0.9% Sodium Chloride) and are preservative free. They are gentle enough for daily use, even for the most sensitive noses. Salinex® Daily Care is not a medicated decongestant and there are no rebound effects. Why use Salinex® seawater and saline products as part of a daily healthcare regimen? The nose and nasal cavities play an important role in the human body by filtering the air we breathe. To maintain healthy sinus it is recommended to use a nasal spray (saline or seawater) as part of a daily healthcare routine. Daily nasal irrigation will allow you to naturally keep your nose clean and clear by promoting drainage of the nasal cavity. This is particularly true for young children who cannot blow their nose properly. Beyond helping to keep your nasal passages clean and moisturized, Salinex® Daily Care products will also help to relieve and reduce cold symptoms such as stuffy nose, nasal secretion and related sinus pressure, if needed. Where does the seawater from Salinex® products come from? Salinex® Daily Care nasal sprays contain 100% natural-source seawater from the Gullmar fjord on the west coast of Sweden. Water is collected 32 meters below sea level where the water is very fresh and clean. After filtration, the undiluted seawater is desalinated, using the latest marine science technologies, preserving trace elements and mineral-rich benefits to an optimum isotonic level of 0.9%. Using Bag-on-Valve technology, seawater is filled in a bag contained within the can. The final product is then sterilized after filling. What does isotonic mean? What does hypertonic mean? Isotonic solutions contain the same concentration of salt as the human body (0.9% Sodium Chloride). They are gentle enough even for the most sensitive noses. Hypertonic solutions have a concentration of salt greater than what is found in the body. Will the product remain sterile after opening? Yes. All Salinex® Daily Care nasal seawater products use the Bag-on-valve technology by which seawater is filled in a bag contained within the can. The one-way valve prevents foreign contaminants such as mucus and foreign bodies from entering the container. This device allows repeated uses, until the expiration date of the product. Do not use the same bottle for more than one person to avoid cross-contamination. How do I know if I have a cold or flu? Flu and colds are often confused because their symptoms are similar. Although both are respiratory infections, the common cold is not as serious as the flu. Both conditions are usually accompanied by cough, fatigue and sometimes nausea, vomiting and discomfort in the chest. However, sneezing, runny nose, nasal congestion and sore throat are more typical to seasonal cold symptoms. If you have a fever, experience intense headaches and suffer from aches and pains, you probably have the flu and you should consult a doctor. Note that in either case, the symptoms and their severity can vary depending on the person’s age and state of health. Can Salinex ProTect® be given to children under six? Yes, Salinex ProTect® can be given to children from the age of one. There are few products sold without a prescription for children under six years old so the availability of Salinex ProTect® is an interesting option for parents. Will regular use of Salinex® or Salinex ProTect® harm my health, irritate my nasal passages or cause an addiction? Salinex® Daily Care products are available in seawater and saline solutions. They are gentle, non-irritating and do not cause addiction. Salinex® products are suitable for pregnant women and do not contain any prohibited substances for use in drugs. When is the best time to use Salinex ProTect®? Colds are more easily transmitted in confined space such as an airplane and other vehicles for public transportation. Back-to-school in September and the holiday season are also occasions that favour the transmission of cold viruses as contact with others increases. You can use Salinex ProTect® to protect your upper respiratory tract from the spreading and proliferation of cold viruses at the first sign of a cold. Does Salinex ProTect® really prevent colds? No product can prevent colds. However, it has been clinically proven that Salinex ProTect® protects the nasal passages to help reduce the spreading and proliferation of cold viruses. Recently introduced in Canada, it is one of the few products on the market for which clinical trials have demonstrated effectiveness, by creating a protective layer in the nasal cavity. Salinex ProTect® is the first nasal spray in Canada containing carrageenan. Since September 2013, Canadian consumers are able to benefit from this breakthrough in the fight against seasonal colds. Colds are transmitted by air when you inhale tiny water particles containing the virus. These contaminated droplets are found in the air when someone with a cold coughs, sneezes or sputters without covering their mouth. Transmission can also occur when touching an object contaminated by the virus or coming into contact with someone who has a cold. Salinex ProTect® protects nasal passages to help reduce the spreading and proliferation of cold viruses. We’re going on a family vacation during school break – how can we prevent colds? The common cold is a minor contagious infection that can be unpleasant and can ruin a holiday. Cold symptoms include sore throat, sneezing and congestion. The best way to avoid the common cold is to follow rigorously basic hygiene measures. Wash your hands several times a day with soap and water for at least 30 seconds, making sure you wash your palms, between your fingers and the backs of your hands. Opt for paper to dry your hands. Try to avoid shaking hands and kissing people who may have colds. If this is not possible, wash your hands after shaking hands, and refrain from touching your mouth in the meantime. Eat well and exercise to strengthen your immune system. Salinex ProTect® creates a protective layer in the nasal cavity that helps protect against the spreading and proliferation of cold viruses. If you feel the first symptoms of a cold coming on in the days preceding your departure or during your stay, use Salinex ProTect® according to the labeling instructions. How can I reduce the risk of my baby catching my cold? Wash your hands thoroughly before taking care of your child. Cover your mouth with the inner crook of your elbow when you cough or sneeze to avoid contaminating your hands, the main transmission vehicle. It’s a good idea to wear a mask when caring for your baby and be sure to wash your hands before. Whenever possible, limit your time with your baby to reduce the risk of contamination. Ensure that others with colds around your child do the same. Discard used tissues and masks after use. On a regular basis, wash your child’s toys and other items that you may have touched. Aerate daily the spaces in which your child spends time to prevent him (her) from being contaminated by the ambient air. My child caught a cold at daycare … how can I effectively treat the cold and when can my child return to daycare? Use of Salinex ProTect® in the early stages of a cold reduces the viral load in nasal secretions and relieves symptoms (stuffy nose, runny nose) while shortening the duration of these cold symptoms. It is up to the parents or a physician to assess the general condition of the child and decide when he can safely return to daycare. 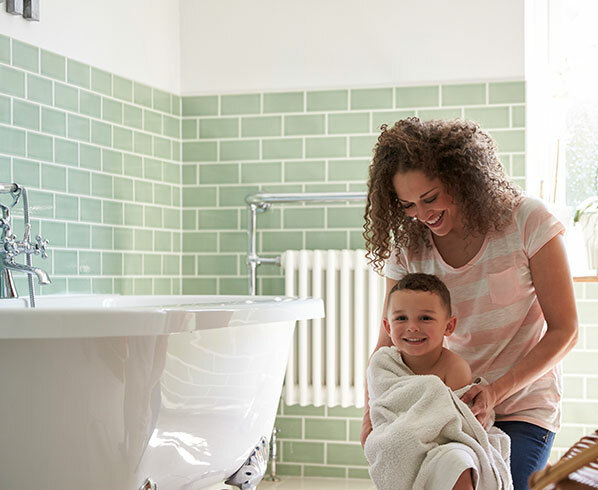 When necessary, remind your child to exercise basic hygiene rules (washing hands regularly, coughing into the crook of the elbow, keeping some distance from friends, etc.). My baby protests when I try to clean his or her nose. What do you recommend? Nasal hygiene is important for clearing out secretions and it is normal for your baby to flail and object. For your convenience—and to decrease your baby’s discomfort—use a dropper, such as Salinex® Nasal drops, and make sure that the saline solution is at room temperature. Straighten up your baby after administering nasal drops in the first nostril so that he can catch his breath. My child is 4 years old and has a cold. How can I teach him to blow his nose? Children are often unable to blow their noses. To teach your child how, sit at a table and put the child on your lap, head tilted slightly forwards. Put something light on the table, like a piece of tissue paper, cotton or paper ball. Ask the child to move the object by blowing through his nose, making sure his mouth is closed.